Order now and receive free freight! Every Power-Stud+® SD1 Wedge Anchor is in stock for immediate shipping. 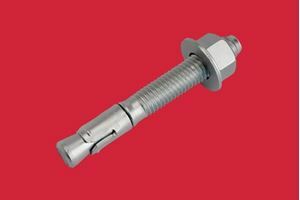 The Powers Fasteners Power-Stud+® SD1 wedge expansion anchor for use with strength design is a full thread, torque-controlled, expansion wedge anchor. Technical Information link contains reference data information: anchor diameter, minimum diameter of hole clearance in fixture, nominal drill bit diameter, minimum nominal embedment depth, minimum hole depth, installation torque, socket size and nut height.